Digital Marketing is topic of discussion among business owners, Business and sales managers, Search Engine marketers and Search Engine optimizers. Gone are the days when offline-marketing were sufficient for business advertisement and promotion. The time has changed and one must blend conventional marketing strategy with Digital Marketing to tap full potential of business marketing and advertising. Acesoftech Academy, a premier I.T. Training institute in Kolkata which provides SEO (Search Engine Optimization) training, PPC Training, SMM and SEM and Digital Marketing training. We provide class-room Digital Marketing Training in Kolkata as well as Online Digital Marketing training all over the world. This course is latest and modern and is last updated on January 2017. So, all technique and optimization process will be taught as per current marketing trend and latest Google’s updates. This course is supported by Video tutorials (Video tutorials is prepared by same trainer who will be providing training) and book in the form of Soft copy or Hard copy .This will help you to get in-depth knowledge about below subjects. Enhance knowledge of current and latest updates of Digital Marketing concepts, approaches and you will also get acquainted with how you can use Digital Marketing with conventional marketing strategy. Enhance knowledge of understanding of the factors that impacts visitor’s behaviour in the digital economy. Develop updated and in-depth knowledge in the practices that relate to digital and data-driven marketing, including data analysis and planning. Use of AI in Digital Marketing. Freelance & Bidding Course is also included with this course. The course fee is Rs. 5000/-. But we are providing that course free with the Digital Marketing Course in Kolkata. So, there is huge 5000/- discount with this course. There are a lot of students who are successful doing freelance and Bidding course. They are doing job as well as earning from home at their free time. So, why you lag behind?. Click Here to read their success stories. We provide Free Domain, free hosting and we setup wordpress website for you. To make you a professional Digital Marketeer, we don't teach you theory only but make you to do a lot of practice. We provide free '.com' domain name of your choice(if available). We setup your website with wordpress and provide you theme which you can customize. That website will be totally yours which you can use later even your course is finished. You can use the website as a blog, or ecommerce website also. 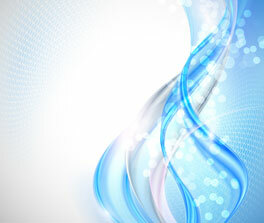 We also provide you video which will be helpful for you to modify and customize the website. If you buy domain+hosting yourself, it will cost you minimum Rs.1500 to Rs.2000 which we provide you free of cost. While going for interview, you can include this website URL in your resume and show this website as a live project also. This website you can use as a freelnacer and you can earn extra money either through Adsense, Affiliate Marketing or other online sources that we teach. Who should join this Digital Marketing Training Course? Who is already in conventional advertising marketing and want to gain modern online advertising strategy. I am Anindya Saha from Chandannagar. I have done M.A. from Rabindra Bharati University. I had interest in Digital Marketing but not sure which Institute to to join. After several day of research and visiting different Digital Marketing training centers in Kolkata,I finally decided to join at Acesoftech Academy. I completed the course in 3 and half months and started to work as a freelance Digital marketing executive. Initially had to go through tough time but now, I am happy to say that I earn average INR 20,000/ per month siting at my home doing as a freelance work. I mostly work on fiverr.com and I have reached level two and now I am a premium seller. No doubt during all these things, what proved to me very helpful was the quaity training that I received. I would like to say thank to Umar sir for professional and quality training. I am Khusboo pandit and I am from Kasba, Kolkata, currently working as a digital Marketing executive in a company near Molali. I am very happy because my career is on the right path.I got Digital Marketing Training with placement after doing the course from Acesoftech Academy. Acesoftech Academy is really professional institute and all trainers and particularly Mr. Umar has deep knowledge of Digital Marketing. He has trained me in such a way that I dont have problem in handling the projects. My parents are also happy because I dont have to be dependent on my parents for my expenses. Myself Zeba Akhtar, I have done Digital Marketing course in Kolkata from Acesoftech Academy and currently working as a digital marketing executive in a reputed company in Salt Lake Sector-V, Kolkata. After doing the course, I worked for one year at Suhanasoftech Pvt. Ltd.and got a lot of industrial experience. My impression about this institute is that, I was trained in industrial and professional environment. After completing this Digital Marketing course I did not feel any problem in doing real-time project becuase I had already worked on live project during the training. Thank you very much for fulfilling your promise and providing advance and Industrial Digital Marketing course. I am from Fagwara, Punjab. I have done online Digital marketing coruse from Acesofteh Academy. I have done 4 courses, Joomla Training, WordPress training,OpenCart trainig as well as Digital Marketing course from this institute. I did this course one after one becuase training quality is really very good. I am from Bangladesh and I had gone to India for Digital Marketing course.I did Digital Marketing course as well as freelance and bidding course from Acesoftech Academy. I run my own Digital Marketing agency. I stared working as a freelance biding manager and later I established my own company. I mostly used to work on upwork and fiverr.com. I would like to thank to Acesoftech Academy trainers for good and quality SEO/Digital Marketing course. I am Imran Khan residing near 4 number bridge,Kolkata. I have done graduation from University of Calcutta. I have done Digital Marketing course form Acesoftech Academy and working in an Australia based company called Million hits. I am working as a Digital Marketing executive. 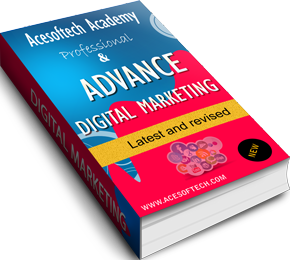 Acesoftech Academy is a very good Digital Marketing training institute where I got in-depth knowledge about SEO/Digital marketing. Thanks for quality and professional training. I am a graduate and have done SEO/Digital Marketing training in Kolkata from Acesoftech Academy. I am from Topsia Kolkata and joined this institute in January 2016 and currently doing freelance job. I did not realized the quality of training until I started working. When I started to work, I realized that I was provided very good training because it was easy to work on project and also the result of Digital Marketing was coming very good. I appreciate the way training was provided. 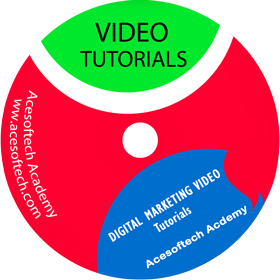 I can say that Acesoftech Academy is one of the best Digital Marketing training institute in Kolkata which imparts world class Digital Marketing course. Digital Marketing is the arena where experience is required. Only well-experienced professional can provide you proper Digital Marketing course. Digital Marketing training at Acesoftech Academy is provided by our CEO Mr. Umar Rahman. He has total 16 years of IT experience and 11 years of SEO/Digital Marketing working as well as training experience. He has skill of website development, website design/graphic/animation as well as Digital Marketing. Apart from providing regular training at our center, he has also reputation of providing corporate Digital Marketing training. Below are few of companies where he has delivered corporate training recently. Acesoftech Academy provides environment where students can ask any questions/queries related to course. Either you can ask through phone call, email or visiting our training center and talking to Digital Marketing expert. Do you provide any certificate at the end of the course ? Yes, at after successful completion of Digital Marketing Course in Kolkata, Acesoftech Academy provides certificate. After completing the course, we conduct internal examination in our center and we provide students grade based on the performance in the exam. In case any student failed to score required marks, he/she has to take exam again. Are there enough job Opening after completing Digital Marketing Course in Kolkata ? With more and more companies investing their marketing budget in Digital Marketing the opportunities for a digital marketeer are increase day by day. The demand of skilled Digital Marketing professionals are growing exponentially. You can see the list of Jobs for Digital marketing Digital Marketing Job Opportunities in India. What if I miss some lectures ? If you miss any class, our trainer will cover that in extra class. Is your Digital Marketing Course available for Weekend Also? Yes, we provide Weekend classes also for those who are working professionals and do not get time in week days. We provide flexible time also for those students. Do you provide Online Digital Marketing course also ? Yes, we provide online Digital Marketing training also. This course can be done from anywhere in the world. For foreign students the fees is different from resident Indian. Do we get any course material for reference ? Yes, we provide Videos, e-book and other source of course materials also. Are there any Pre-Requisites for the course ? Student should be minimum 12th Pass for this course. Is Google certification part of the course ? We provide course material and our trainers help in preparing for Google certification as well as facebook certification. Later you can register for free and take exam. Our instructors are industry expert who has experience of working for long period on Digital Marketing on different projects and also have excellent track record of providing corporate Digital marketing training.